All staff and trustees at NCG member organizations are themselves NCG members. 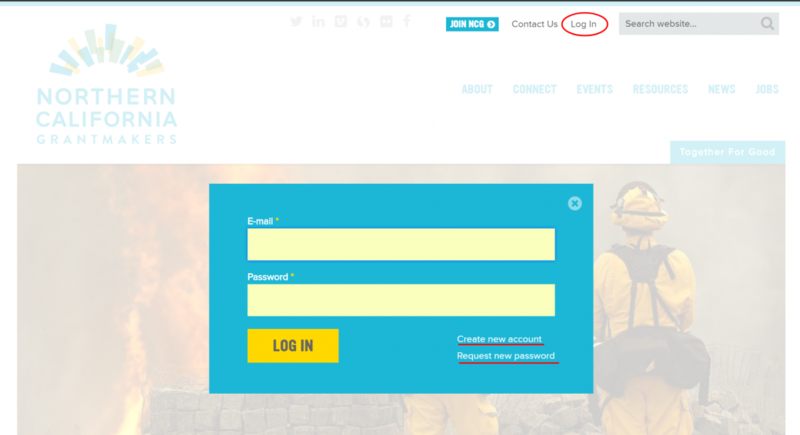 Each person has their own log in information and can personalize their profile. Attending NCG programs: To register for a program you have to log in to the website. When you log in, the website recognizes you as a member and allows you to process your registration. Member-Only Website Content: To access post-program resources, the Member Directory or other member-only content you need to login to the website. Click “Log In” in the top right corner. Enter your email address and password. Haven't registered your personal account yet? Click "Request a new password" and enter your email address then click the "Email New Password" button. You will receive a link via email. Click the link in your email, which will take you to the "Reset Password" page. Click the "Log In" button. Enter your new password and click "Save." A confirmation message will appear at the top of the screen. You're now set to update your profile! Log in and click on "My Account" in the top right corner of your screen, then click the "Edit" button. Then click “Edit Profile” (next to the word “Account”). Select your "Areas of Interest" and “Professional Development Interests” from the drop‐down lists. Don’t forget to hit the “Save” button at bottom! Find more tips on how to personlize your profile here. Do not select all the "Professional Interest Area" and "Areas of Interest" tags. Be selective. If all our members choose all the tags, it's as if you all didn't select any. By being more selective about what really interests you, the filters on our Member Directory will be able to offer a true picture of who is interested in what issue or topic. This not only helps NCG determine the kind of progamming to develop, but helps yours peers looking through the Member Directory find other funders with similar interests. Your designated administrative contacts can now edit your organization listing directly. To find out who those contacts are, check your organization's directory profile. Instructions for editing your organization profile can be found here. If you have questions or need to update the administrative contacts listed for your organization, please contact memberservices@ncg.org.